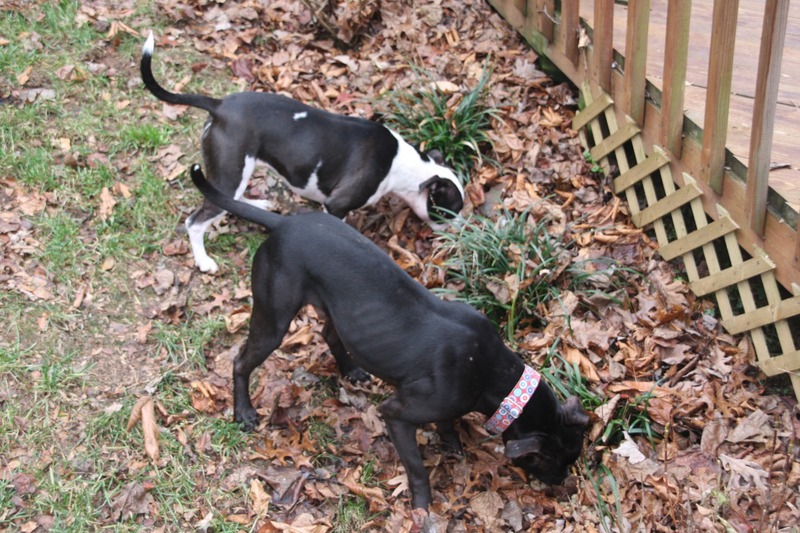 Lessons learned from fostering, training and loving dogs. 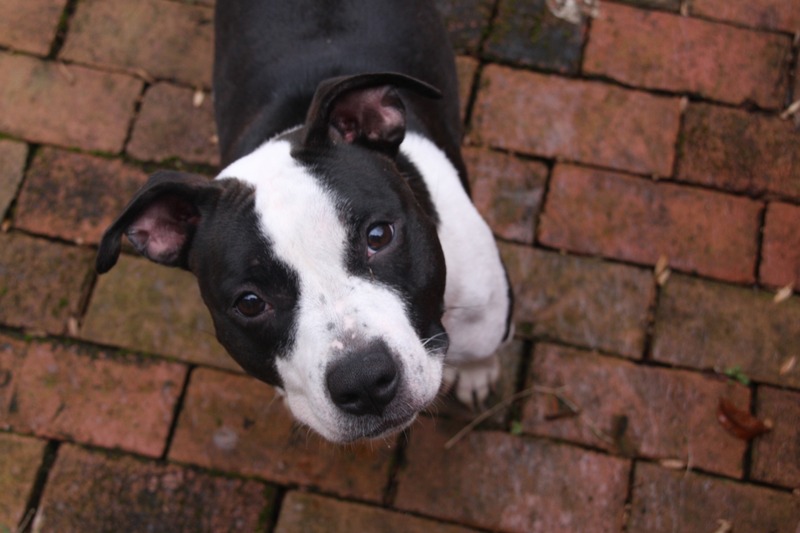 Bella is an adorable and spunky pocket pit with the personality and energy level comparable to that of the energizer bunny on happy pills. She is an absolute doll, and loves everyone she comes in contact with. Bella was adopted through Bully Paws rescue (yay!). She lives up the street a few houses, and as soon as I learned Baxter was dog friendly I knew we needed to plan a play date. I had no idea what a pair these two would make. 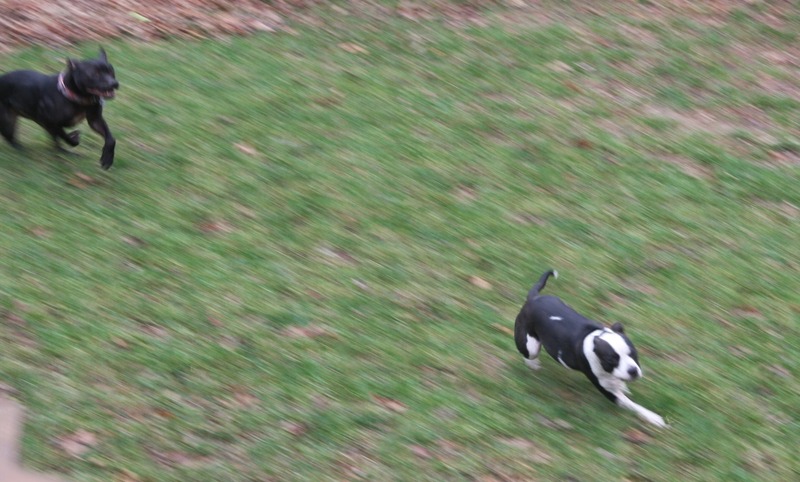 … but usually it’s Bella in the lead. They share drinks, and even hold paws while doing so. But most of all, they’re really stinkin cute together. For more information on adopting Comeback Kid Baxter, click here or email peacelovefoster@gmail.com. 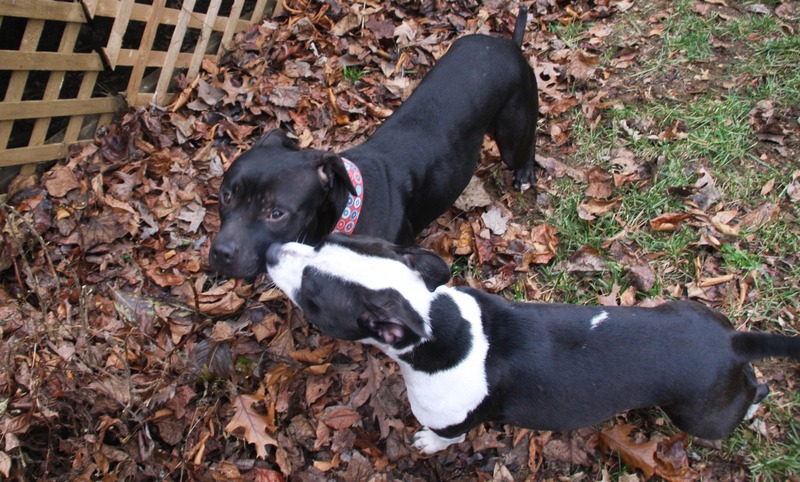 This entry was posted in Baxter, Dog talk, Rescue/Humane Society, Uncategorized and tagged adoption, Baxter, Bella, dogs playing, fostering, pit bull, play. Bookmark the permalink. 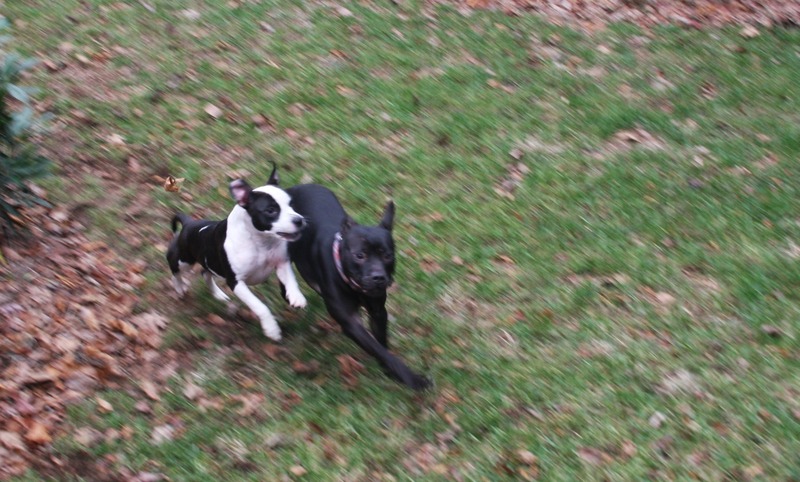 Ugh what is better than two pups who play perfect together?! 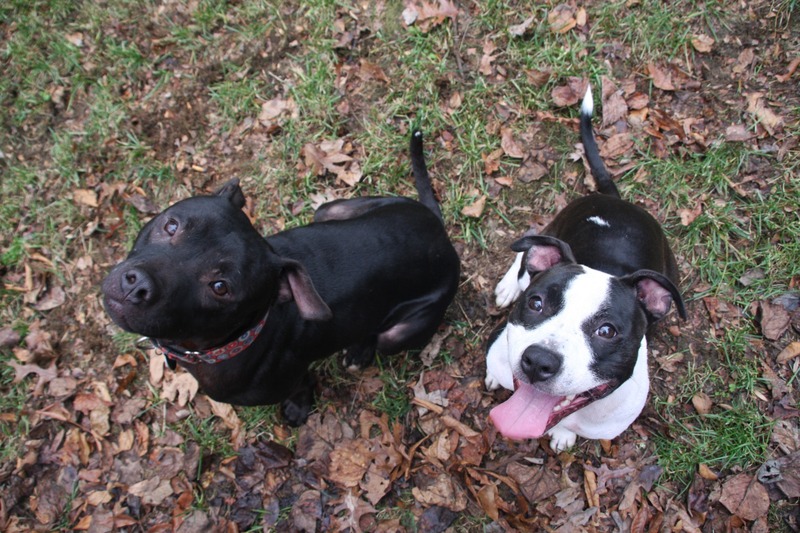 Sure would be nice if they could adopt Mr Baxter……great photos and story J. So adorable. Bax looks so happy with her. Nice that they are friends and have play dates. So cute! 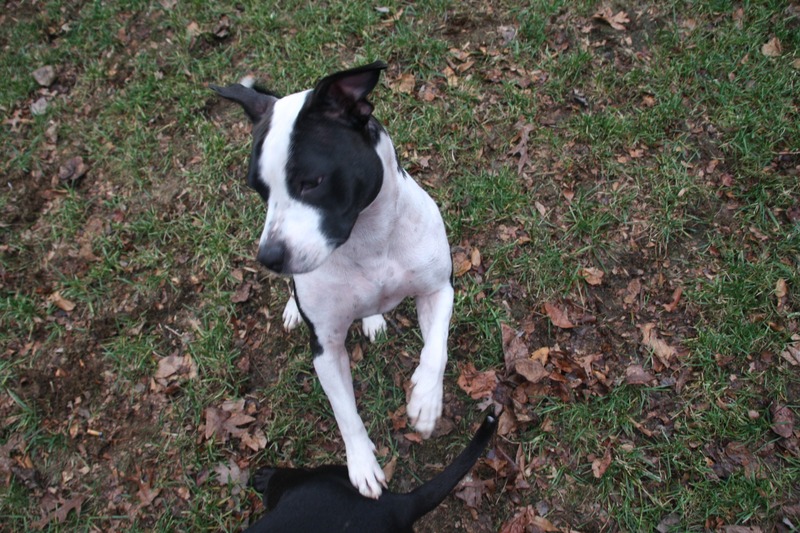 Maybe he can find a home with a doggie playmate! This made my day already! 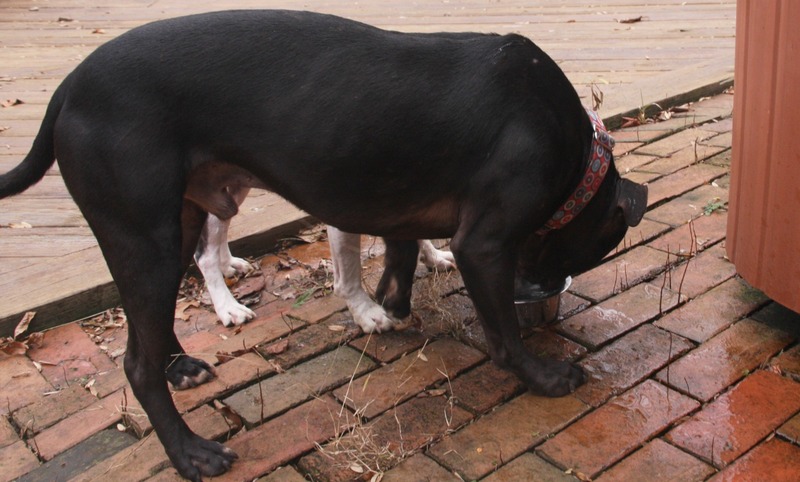 I love that they share drinks and hold paws….adorable! Don't miss any of our dog talk! Subscribe to the blog so you get our updates in your email. YOU’RE RIGHT, YOU’RE RIGHT, YOU’RE RIGHT!